I have a fondness for ethnic woven scarfs and dupattas which are available in some shops in Chennai, India. The range of these type of accessories is endless. Once in a while, overcome by temptation, I pick up a few pieces. This is one such tussar silk dupatta. I bought a white silk crepe fabric with satin flowers as tunic fabric to be matched with this dupatta. 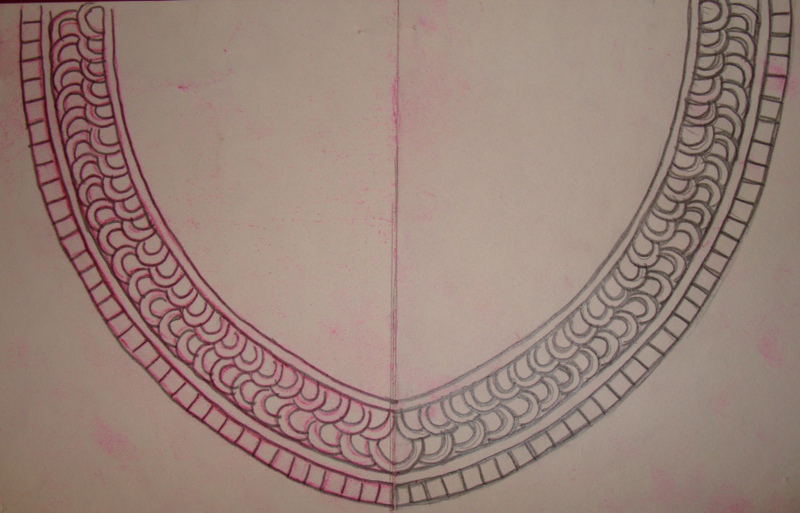 A simple pattern inspired by the design on the dupatta was drawn for neck and sleeves. 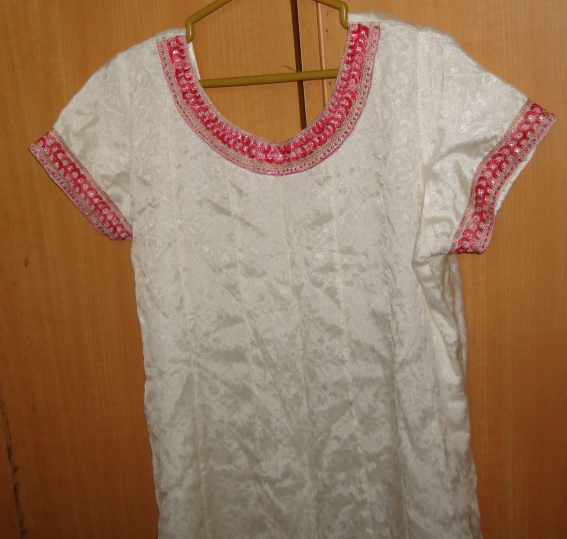 The embroidery was done a white cotton fabric. 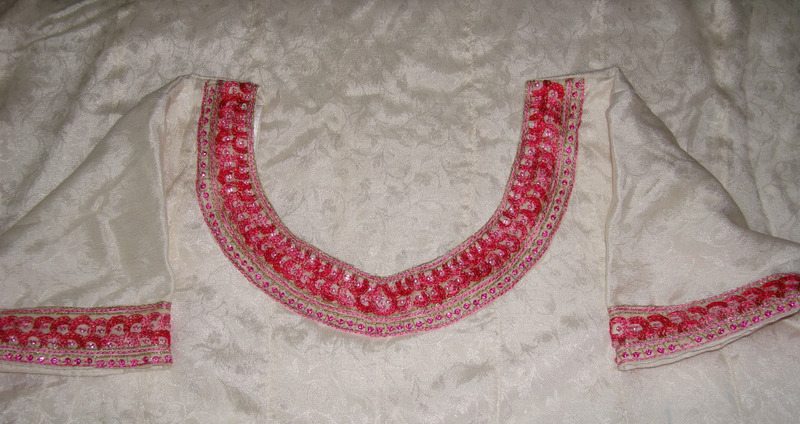 Pink shaded silk threads and pink stones were used for the embroidery. 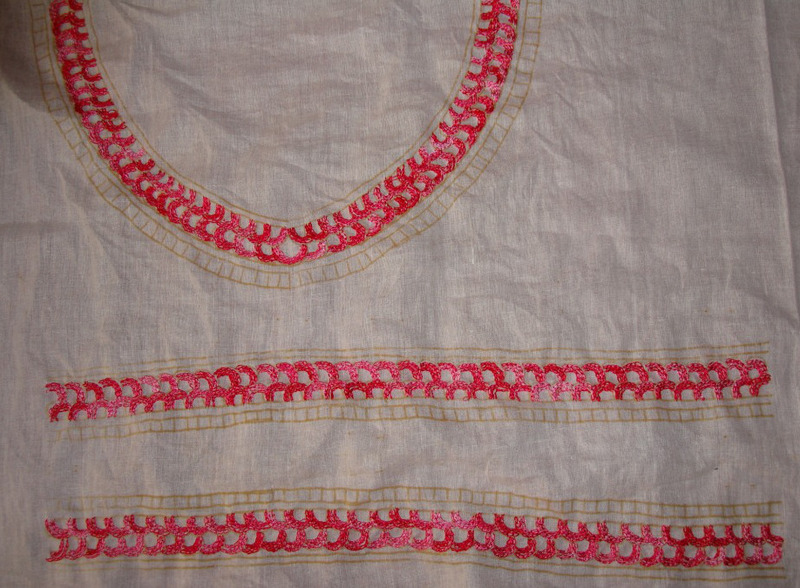 The tunic with the details of the neck and sleeves. 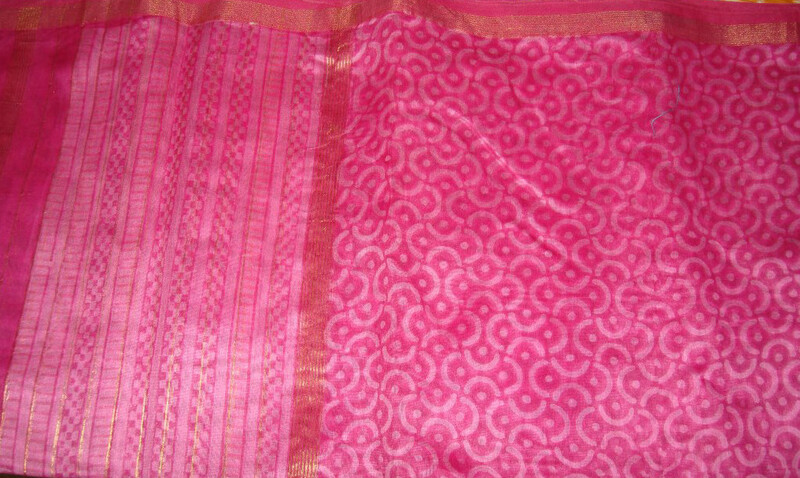 Light gold zari thread and pink stones were also used for this work.